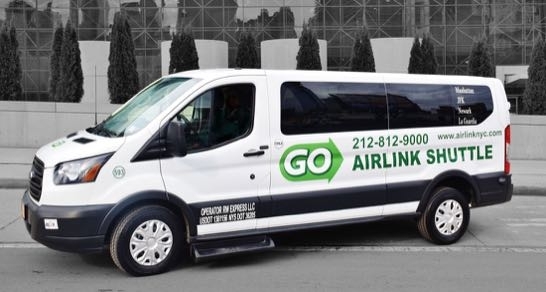 Established in 2004, GO Airlink NYC is one of the largest providers of ground transportation for leisure and corporate travelers in New York City. We offer shared ride shuttles, private exclusive rides, charter and groups. We serve thousands of happy travelers daily to and from the NYC Airports and Cruise Ship Terminals. GO Airlink NYC is locally owned and operated. You can expect reliable, safe and efficient service provided by a team of professionals with a hospitality culture and backed by proprietary smart technology. We value customer satisfaction and love to exceed expectations. Customer service is available 24/7 by phone, email and online chat. Help is also available at the ground transportation welcome center in every terminal at JFK, EWR and LGA. You can be assured of uniform, courteous and responsive customer service — every time. An official licensee of the Port Authority of New York and New Jersey and licensed by New York City, we meet or exceed all city, state and federal operating requirements.